Some 60% of whistle-blowers who voice fears about their workplace receive no response from their managers, a survey suggests. The charity Public Concern at Work also said that of 1,000 whistle-blowers it questioned, 19% were disciplined or demoted after speaking up. A further 15% were dismissed altogether, it added. The charity said the survey showed why speaking up at work "may seem futile or dangerous to many individuals". 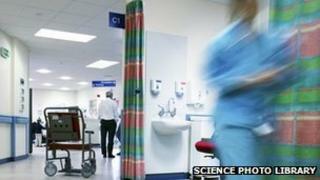 The treatment of whistle-blowers made headlines following the scandal at Stafford Hospital. Hundreds of patients died there due to poor care despite attempts by a number of staff to raise concerns. In another recent incident, three people were arrested after details of chauffeur-driven journeys taken by Cumbria's police and crime commissioner were leaked to the press. Asked about that case during prime minister's questions, David Cameron said whistleblowers - and "what they do to help improve the provision of public services" - should be supported. Public Concern at Work said its research provided further evidence that the effectiveness of whistle-blowing in the UK must be reviewed. Some 74% of those questioned reported that nothing was done about the alleged wrongdoing they raised and 60% received no response at all, positive or negative. The report also provides a profile of a "typical" whistle-blower - they have generally been employed by the organisation for less than two years, and raise their concerns twice, usually internally. In the few cases where a grievance was raised three or four times, it did become more likely that the matter would be addressed but also more likely that the person raising concerns would be dismissed. Junior staff were most likely to be ignored, while senior whistle-blowers were more likely to be dismissed. Only 15% of those surveyed had raised their concern externally with an official regulator and they tended to experience better outcomes. Cathy James, chief executive of Public Concern at Work, said whistle-blowers were "often ignored, or worse, discouraged, ostracised or victimised". "Media attention on whistle-blowing makes for contradictory reading: ministers and employers say whistle-blowing is vital for an open and transparent workplace culture, but ask the whistleblowers and the story is starkly different: they are gagged in the NHS, arrested in our police forces and blacklisted in many industries," she said. "Too many workers still suffer reprisals which will not only impact negatively on the whistle-blower, but will deter others from speaking up and allow a culture of silence to pervade."